As a kid, the arrival of the coveted phone-book-thick JC Penney Christmas Toy Catalog marked the official Opening Ceremonies of Christmanticipation. My two younger sisters and I would dutifully write letters to Santa using it as our reference, citing page and model numbers, which my mother had explained was very helpful for Santa. However, as JC Penney Catalog Arrival Day grew in popularity over the years, my mother learned it was smarter to sign both herself and my father up for the mailing list in order to prevent the inevitable tooth-and-nail sibling tug-of-war for the first crack at The Book. With two copies, I could look at the “boy” pages at my leisure while my sisters would conduct an animated roundtable discussion of this year’s girl toy line. I will definitely keep this two-edition tactic in mind as the Twins approach the knock-down drag-out age. For now, though, my wife and I find we’re browsing the Technicolor toy pages with the same excitement as when we were children–maybe even more so since we actually have the means to choose and buy the playthings we covet (they’re for the kids–I swear), rather than the yearly live-action commercials we’d perform for our parents to sell them on the awesomeness of Red Rider Air Rifles and Nintendo Gameboys. Flipping through these sacred capitalist texts, I think what I find most amusing is the child models’ facial expressions. 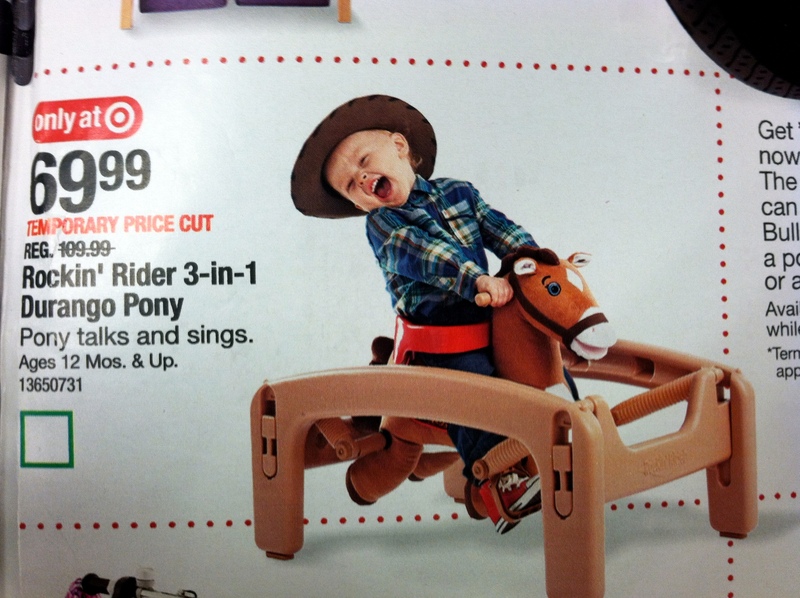 No one in the history of fun has ever been more elated than this child. That is one SUH-WEET dump truck! To be fair, it is pretty frickin’ sweet. I had no idea my wife was such a dump truck enthusiast, and until this moment, I don’t think she did either. Like multitudes before me, I’ll concede that the Holiday Season is incredibly over-commercialized, which often takes away from the True Meaning of Christmas. This varies depending on who you talk to, but I think we can all agree the spirit is rooted in Being Excellent to Each Other. 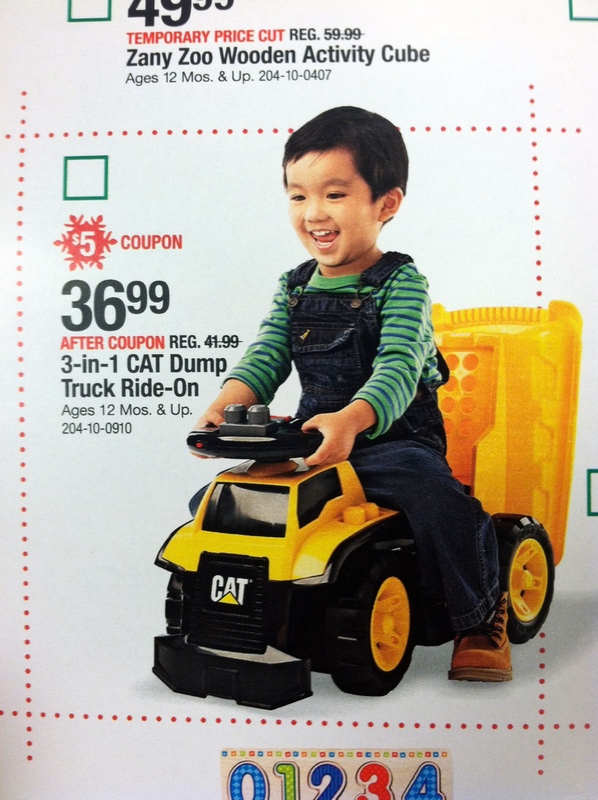 As a parent, I now live to make my kids smile, and even now that we’re a single-income household, I’m totally okay with saving up so we can afford items such as the World’s Sweetest Dump Truck to see those ear-to-ear grins on Christmas Morning. Especially if there’s a coupon. If not, did you SEE that dump truck? Man. That’s is suh-weet. 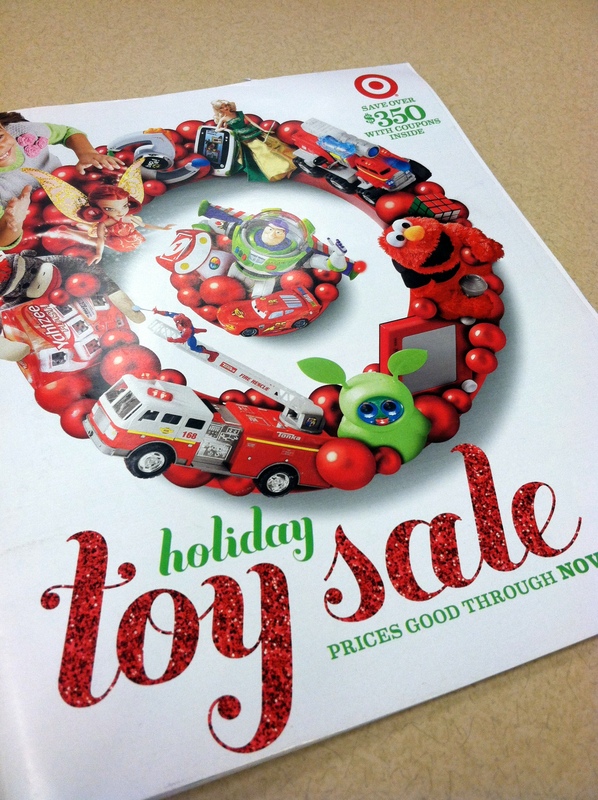 Did you get the Toys R Us catalog yet??? It’s even MORE amazing!! 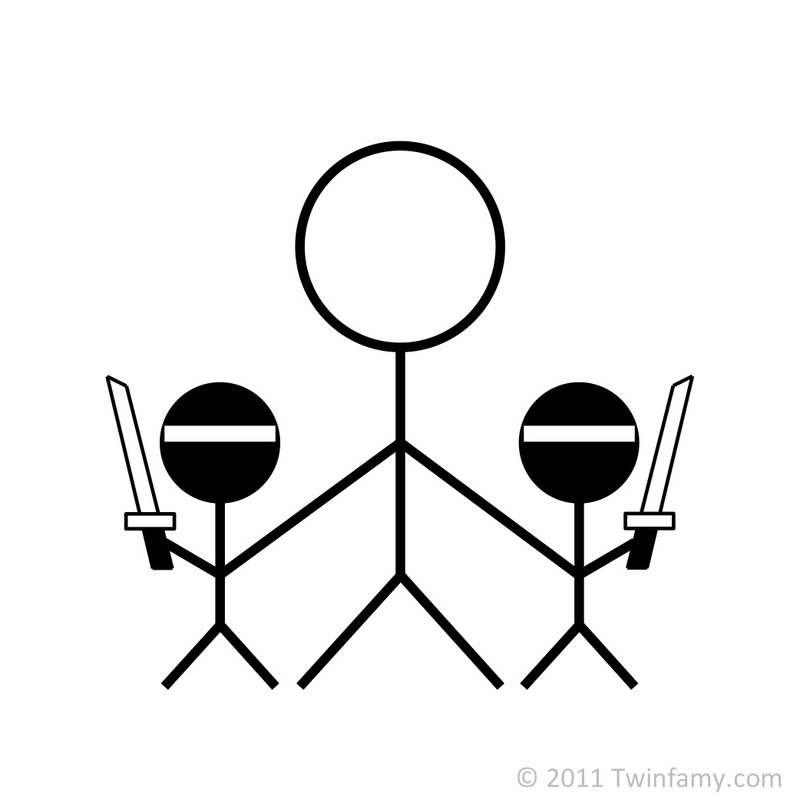 Let me warn you though, as one twin parent to another, get TWO of everything. Does not matter if you have a boy and a girl, they WILL fight over the dump truck. All day. Every day. Save yourself the pain I am currently suffering through. Excellent post, as usual, John. I would like to echo your words of wisdom, Chunky Mama. I have experience in these matters myself–I have younger siblings who are twins. And I have been there when one twin got one thing, and the other got an entirely different thing. TWO of everything is a must–whether it’s books, shirts, epic dump trucks of pure awesomeness, or Barbie dolls….ALWAYS buy one for each twin! Because it doesn’t matter if it’s a girl toy–treat buying for your twins like having OCD: everything must be of equal (if not the exact same) value. EVERYTHING! Yeah, we’re finding that the intended gender of toys doesn’t really matter–they both play with everything. However, I do try to get boy-color versions of toys for my son. Usually the girl-intended toys are pink to a ridiculous degree and I feel like I’m not doing my son justice if I continually immerse him in a sea of pink. It’s not a homophobic thing–it’s just that I’d prefer pink not to be his favorite color, for his own sake. Plus, I’m not very fond of pink myself, either, so continually lobbying for gender-neutral colors also keeps my home from becoming an obnoxious pink-fest. No, we didn’t get the Toys R Us one, but now you have me frothing at the mouth for it. I definitely hear you on getting two of everything. I break up epic wrestling matches all day as it is, usually over The One Toy that is captivating them at that particular moment. For the most part, we do get two of everything, but I sometimes find that doesn’t necessarily solve the problem. Both my son and daughter will then see what the other has (even if they’re already holding the exact same thing), and want THAT one, too. They apply the Pokemon axiom “Gotta Catch ‘Em All” to all toys. However, even though they try to build their individual toy empires, I will agree that for big-ticket items, having two is probably best. If one of them can somehow occupy two of the World’s Sweetest Dump Truck at the same time, more power to them. I’ll be videotaping it so I can will thousands of dollars on AFV. Hilarious! Now that the boys are older I give them the toy catalog and a sharpie and they circle what they like and put the first letter of their name. Thank god they get a long great because they will sit there heads pressed together sharing the same kitchen chair passing the marker back and forth. Two years ago the little one would point and the older one would circle and write the letter for him. It was too cute. Thanks! Yeah, that’s how my sisters were. They’d even look at prices and decide that if something was too expensive, they’d put it on their lists with the footnote that it was for the two of them to share in an effort to tip the scales in their favor. The older one circling for your younger is one of the most adorable things I’ve ever heard. Hilarious. My dogs do the same thing that you twins do with toys. It can be the exact same thing doubled, but it doesn’t matter! And I love a child in the house at Christmas time. It really does make it so much more fun! Yeah, it’s a territorial thing. We’re trying to teach them the concept of sharing, but I don’t think they’re quite at the point where they can grasp that yet. Trying can’t hurt, though. I am so incredibly excited to have kids around at Christmas. My parents made Santa epic and I plan to do the same for my progeny. So much fun ahead. Nice! What’d you wind up getting her? That’s okay. You’re allowed to spoil her. That’s what awesome aunts are for. Regarding Li’l D, I’ve heard that Twincidents make excellent bedtime stories–they even have pictures! If he ever gets bored with his typical books, a vast selection of artfully crafted stories are right here for the taking. Santa brings the gifts, Jesus brings the salvation, but the kids bring the magic. Enjoy. It only gets better. So true! I can’t wait. While I believe that the turkey needs to be respected more (Christmas the day after Halloween? Really stores??? ), Christmas shopping can be pretty fun. As long as your not going for the one hot item of the year, thinking outside the box for fun things is enjoyable. This year Isaac is getting a kid sized guitar (though he’ll probably still demand mine) and an accordion. We bought some Angry Bird hats and Paper Jam guitars for the nephews. Definitely buy two very similar (if not exact) toys for those two, as fights are the last thing you need on a holiday like Christmas. And when was the last time you were as joyous as the kids riding the dump truck and horse? It’s an awesome sight to see. Yeah, really. I heard Christmas music while in October this year. They were sneaky about it, though. They had it playing only on speakers where they were selling Christmas stuff. I don’t have anything against Christmas shopping itself–I agree that it’s fun, but not when I’m still thinking about Halloween and Thanksgiving. I’ll even admit I kind of enjoy the zoo that is Black Friday. I don’t typically participate with a real shopping agenda. I just go to watch psychos race for that one hot item. Pretty comical. My kids love my guitar, too. They’d teeth on it all day if I let them, but I’m careful never to leave it unattended. They’ve started to dance when I play, which is a blast. It’s kind of a Stevie Wonder head-bob and sometimes when I’m singing I just bust up laughing because it’s so darn hilarious. You’re right–I can’t think of the last time I was that ecstatically happy, but I’ll definitely settle for making my kids feel that way. 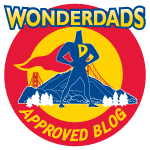 My husband and I are not even parents yet and we just love reading your blog. We always talk about Christmas morning at our house. We have been struggling with infertility since February but we hope this will be out last childless Christmas. Have a wonderful holiday with your family.